BC Banner Drop by Students for a Just and Stable Future! 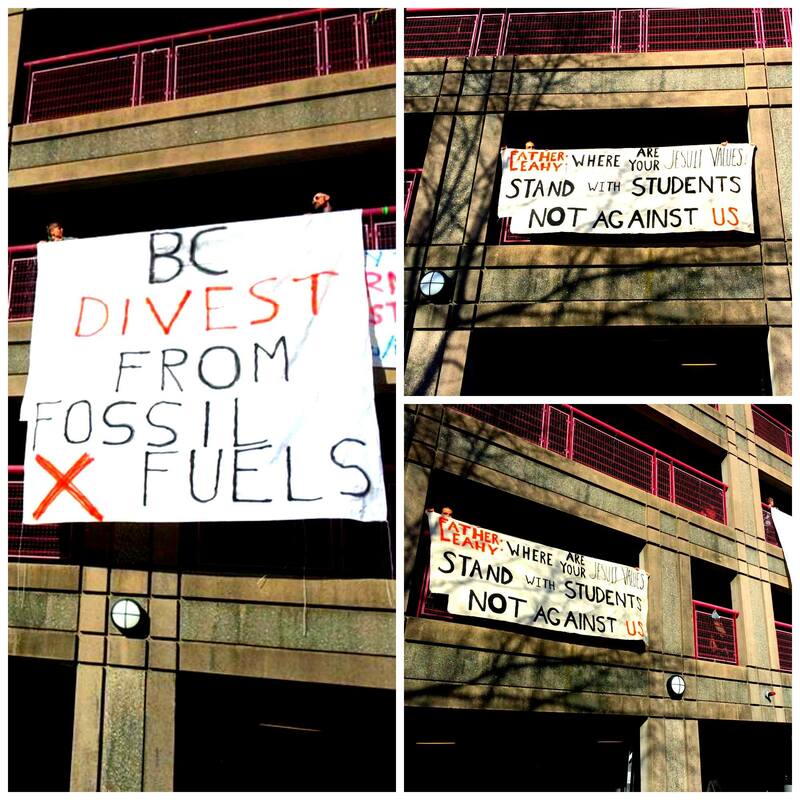 This morning members of the Boston community held a banner drop on BC’s campus, showing the administration that they can’t silence the divestment movement on campus with disciplinary sanctions. Climate Justice @ BC is deeply thankful for all the support.